The sheet music arrangements for the composition Riviera Paradise can be previewed in the selection below. 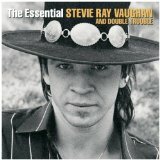 The composer of Riviera Paradise is Stevie Ray Vaughan. The great thing about Great Scores is that you can preview all the available arrangements of a song before purchasing. You can therefore make the best possible choice for your own musical ability and playing style, whether you are a beginner on your instrument or at an advanced stage of playing. Simply click on the two quavers (our preview button) to see an individual score. Close this score and click on another to see a different arrangement of Riviera Paradise. We often offer a piece of music for a variety of different instruments. You may in that case choose to view the arrangements for only one specific instrument by clicking on the drop-down box next to "select instrument" and choosing the instrument you would like to view arrangements for. Do you really love a particular arrangement that we have of this song and would you like to extol its virtues? In that case please move your mouse to the section entitled Comments, and after choosing a user name you may leave your musings on this page for all to see. Do you use Facebook or Twitter? Then you can easily tell your online friends about this great masterpiece by clicking on the "share" button on this page. We offer the sheet music for Riviera Paradise for 1 instrument. In total our sheet music selection for this song has 3 arrangements to choose from.